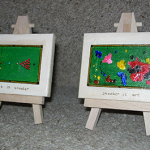 This is the project that kick-started MartYart in Januray 2009. 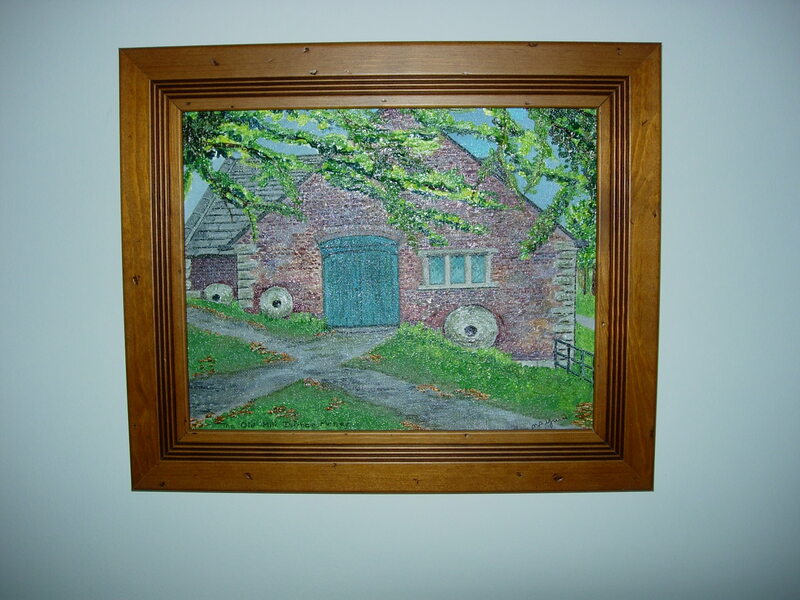 When I first began to experiment as an artist, I realised that I had done several paintings of various doors. 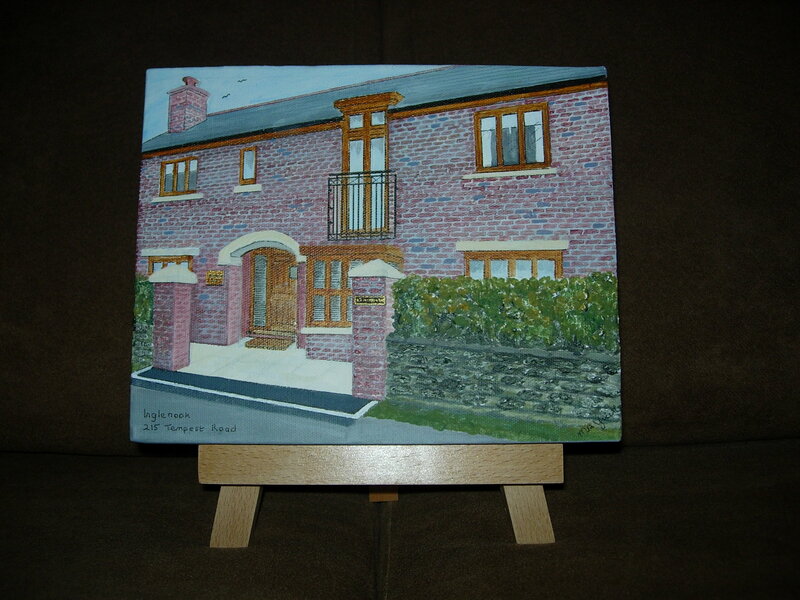 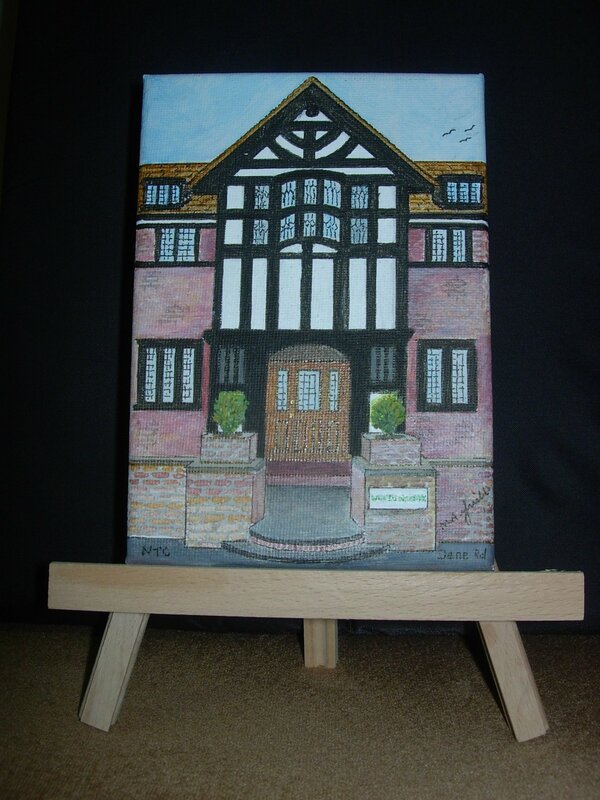 My husband Chick, recognising my fascination with doors, then suggested that I email friends suggesting that they send me a photo of their own front door and I would produce a painting in acrylic on a canvas board complete with display easel for a modest sum. 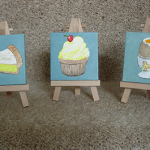 I did this and in no time had a steady stream of orders. 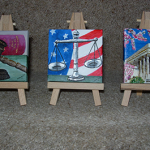 The original goal was to produce 100 painting and raise £500 for Justlife, but I have now gone way beyond that total and still the orders come in. 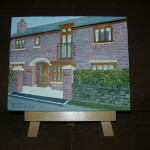 When we look around the area where we live, we often see buildings and views that we like. 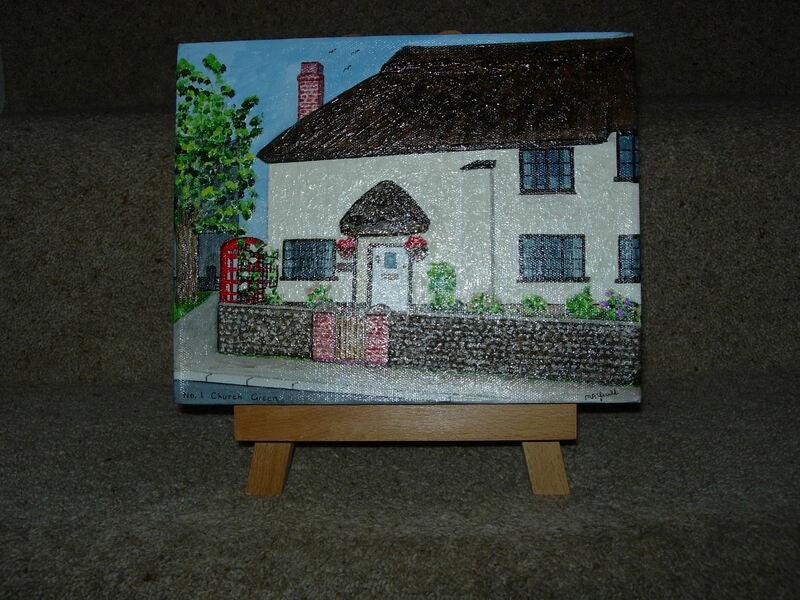 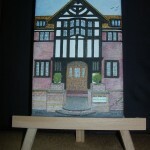 ‘Your Own Doorstep’ seeks to recreate on canvas somewhere local to where you live that you would like to be able to display as a painting in your home. 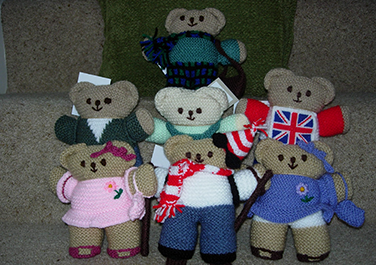 Knitting has always been a hobby for me and I discovered that this little teddy-bear is very popular with MartYart customers. 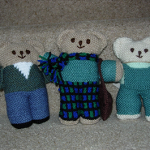 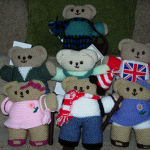 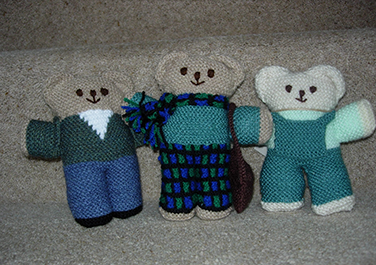 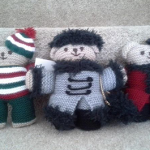 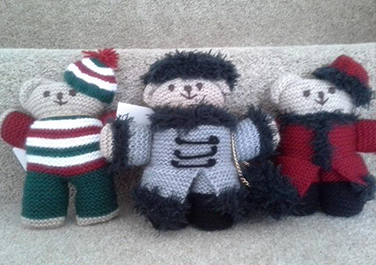 I have now knitted over 200 of these little cuties in all kinds of designs and costumes – see the gallery for more variations. 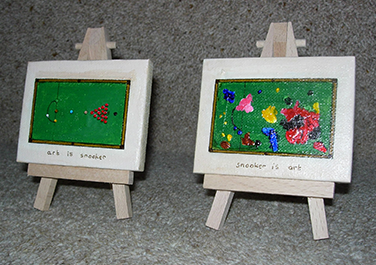 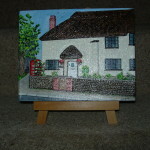 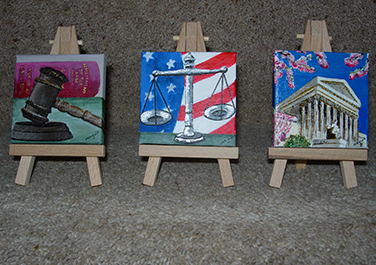 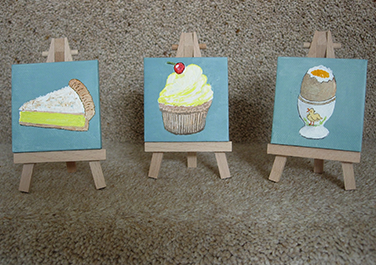 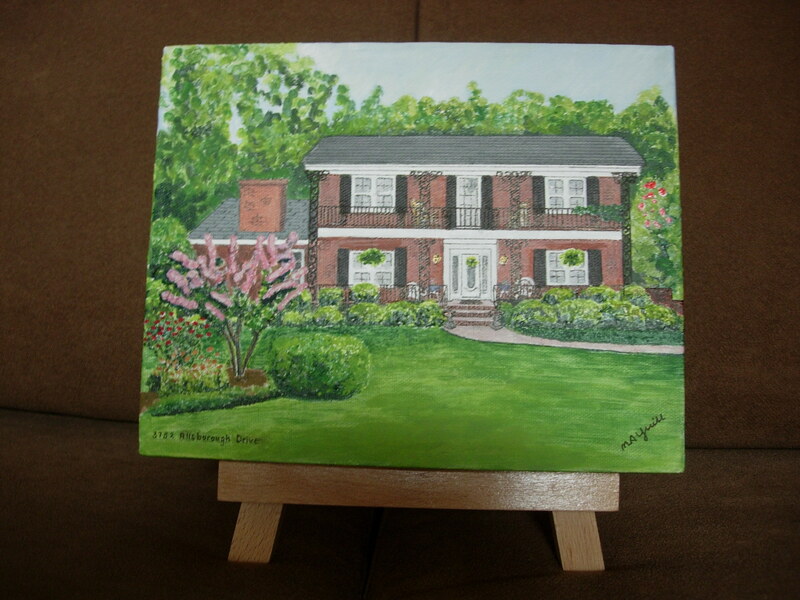 I love painting in miniature – usually in sets of three. 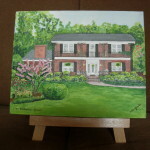 These paintings have made unusual and original Mother’s Day and Father’s Day gifts as well as unique Christmas presents.